Thank you to the LACLA community for making the 8th Annual Cine Sin Fronteras program a success! 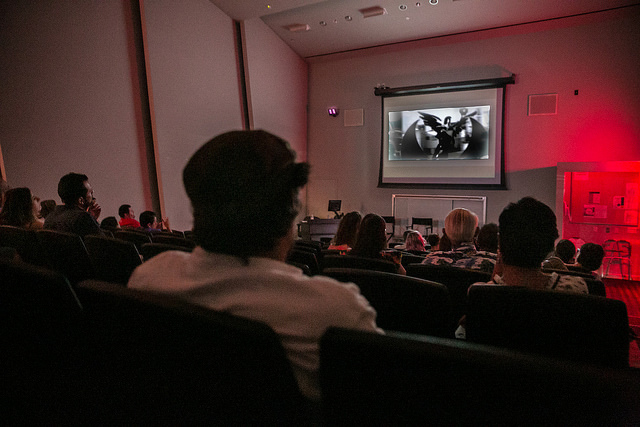 Each year, we look forward to sharing and discussing short experimental films by contemporary Mexican and Latin American filmmakers. It was an honor and a privilege to have had the opportunity to host another year of Cine Sin Fronteras. ¡Hasta la próxima! Please visit our archives page for photos and videos from Cine Sin Fronteras 2018 and other past events.